Submersible pumps off-loaded 10 million gallons of Valdez crude. SRS Crisafulli. "Although I write you this letter of recommendation and appreciation several years after the fact, I feel that our success was due in a large part to the CRISAFULLI pump and for this I feel that our praise and recognition should be given." Mike Green, Sales/Operations Manager, West Pac Environmental, Inc., Seattle, WA 98134 Phone: (208) 762-1190. 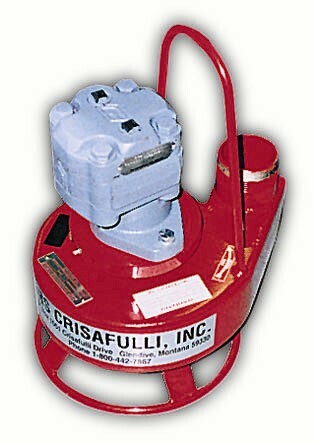 Mike Green comments about Crisafulli Pumps after using Crisafulli Pumps in connection with Exxon's Valdez, Prince William Sound oil spill cleanup: "The Crisafulli pumps were run 24 hours daily and in an environment that would destroy almost anything with moving parts. However, this hostile atmosphere did not challenge the incredible performance of our Crisafulli pumps"..."The integrity and performance of the Crisafulli Pumps was outstanding." Mike Green offered the foregoing assessment after using Crisafulli Pumps to offload 10 million gallons of sour crude with a heavy paraffin and high sulfur content, emulsified with sea water, heavy and viscous, a gluey mousse riddled with seawee, kelp, rocks, and other debris. February 17, 1997. Letter to Carl Richards, Sales Engineer, SRS Crisafulli, Inc. "Dear Mr. Richards: During early June, 1998, Northwest Environmental Field Services (West Pac Environmental) traveled to Valdez, Alaska in response to a request for introduction from the Exxon Corporation, Houston, Texas. During this visit it was observed that although the removal and cleanup of crude oil from Prince William Sound was the focal point of all intellect, an unforeseen or pending issue of considerable magnitude was starting to surface. The issue regarded the removal of the recovered crude oil form the various types of barges on lease to Exxon. With daily rental rates ranging from $3,000 to $7,000 it noted during several discussions with barge personnel that the off-loading of the recovered oil was of little concern, for the longer the sour crude remained aboard, the greater financial dividends were to be made. Following the June visit to Valdez several contracts were awarded to Nothwest Environmental Field Services (West Pac Environmental) with the most challenging requiring the off-loading of the Exxon leased barges. In many of the cargo holds the crude oil, with its heavy paraffins and high sulfur content had emulsified with its associated sea water and was so heavy and visous that a demonstration proved that it could not be poured out of a 55 gallon drum! In addition, the gluey mousse was riddled with seaweed, kelp, rocks, and other debris. Northwest Envirofield Services (West Pac Environmental) successfully off-loaded in excess of 10,000,000 gallons of this Valdez crude utilizing their expertise, centralized heat and the reliable power of their CRISAFULLI submersible pumps. The CRISAFULLI pumps were outfitted with a masticator blade which literally chewed up most of the debris it encountered. The CRISAFULLI pumps were run 24 hours daily and in an environment that would destroy amost anything with moving parts. However, this hostile atmosphere did not challenge the incredible performance of our CRISAFULLI pumps. In late December of 1989 and early January 1990, Exxon Corporation decided to off-load its two remaining barges of Valdez crude in Texas City, Texas. As a gesture of goodwill toward the local contractors, Northwest Environmental Field Services (West Pac Environmental) was retained for their expertise and project control but the critical off-loading responsibilities were given to a local contractor. The contractor boasted that he manufactured the most reputable pumps in the world. As a matter of fact, this manufacturer detailed how their pumps could pump ice cold molasses that was near rock hard for distances in excess of 1,000 feet! At the conclusion of this statement, I looked at my fellow associate, Mr. Larson, and we both uncontrollably smiled. Prior to off-loading activities, a large crane was used to place the hydraulic power pack for the new pumping system aboard the barge of Valdez. Within 48 hours the pumping contractor admitted defeat and quickly disappeared from the job site. "Once again Northwest Environmental Field Services utilized the services of its CRISAFULLI arsenal and, as expected, the integrity and performance of the CRISAFULLI pumps was outstanding."